→ An inside look at some old sprites and such! An inside look at some old sprites and such! Hey there. As I said in my other thread, I found some old stuff for some old Skeetendo hacks and other things, so I figured I would share some of them with you guys as both memories and just an inside look at some things! First up are some things from Secrets and Rumors! 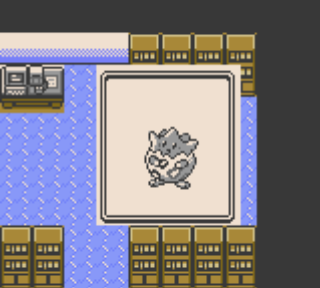 http://i.imgur.com/7b6LH.png - Getting a Pokemon from the Prof.
http://i.imgur.com/ANwT1.png - Sprite for MissingNo. 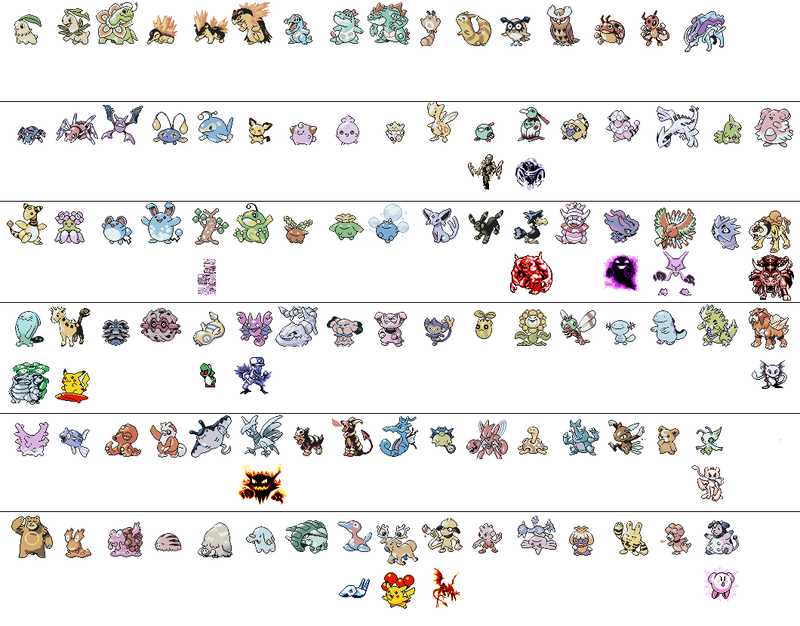 http://i.imgur.com/YQeK9.png - Chart that listed which rumored Pokemon would replace which existing Pokemon. Next is some stuff from Sterling Silver (Cry of Celebi). I can't remember if all of these were CoC, but I'm pretty sure they were. I don't remember why the levels were so high in this list! There's also some code for a Battle Practice Machine that I think Mateo was working on at the time. 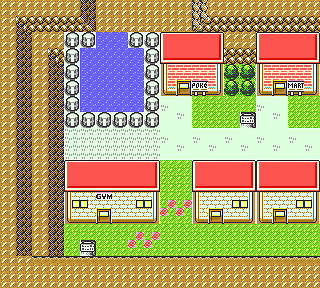 At one point, we were considering making an advanced version of Cry of Celebi, either as a rom hack or in RPG Maker XP, in the same sort of engine that Acanthite used. It didn't get very far, and there were a few more routes and towns mapped, but I'm not sure where those went unfortunately. This is some random stuff either for the advanced version of CoC, or just other things, I don't remember what belongs where. I can't recall if I made these three, or if someone else did. 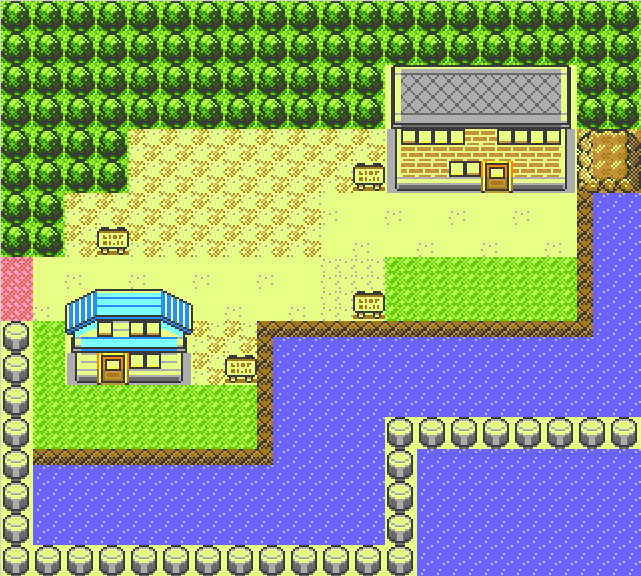 http://i.imgur.com/bA5LY.png - This is from some random rom I have labeled "Hoenn GBC". I don't remember at all what I, or we, were doing there. You start here and can't go anywhere except on the cliffs. May have been a test. A pretty long list, and I'm sure there's more somewhere, but this is all I've found for the time being. I'm not sure if you can use any of this stuff or not since some where made by me, some were made by Mateo, and some may have been randomly found, but most of this stuff was going to be used at one point or another. I remember most of the things I made, but some I can't remember whether Mateo or I made it. Re: An inside look at some old sprites and such! Hey that's a nice find! Man, these bring back some memories. A lot of these I lost, especially the new Pokemon from Sterling Silver. 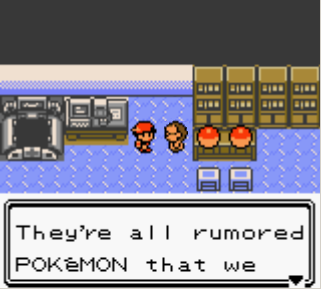 I'd been looking for those sprites for a while now, to hopefully bring him back in Pokemon Christmas. If I remember correctly, their names were "Nevico" "Nevacho" and "Nevombre" (as a cross between Nieve and Chico, Nieve and Muchacho, and Nieve and Hombre) Why we based the names on Spanish words I'm not sure about, but if I had to guess its because I was taking Spanish classes at the time. 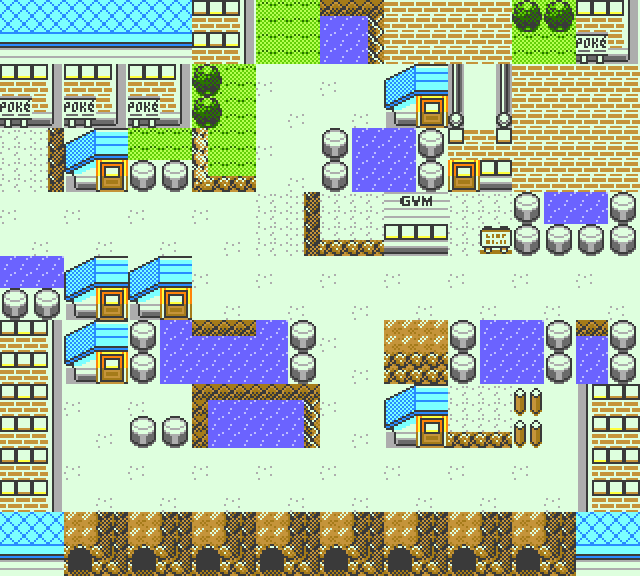 I think the reasons the levels were so high on the Gym Leaders is because we would be replacing the leaders in the second region, not the primary one (since it still started in Johto). Also, I know at least one or two of those sprites weren't even for a real Pokemon game, but for that ridiculous "CHHS: The Game" that KyoMew and I were working on. It used Pokemon graphics, but was set at our highschool. The Flannery-based trainer was supposed to be a girl named Brittany who was in band with us. 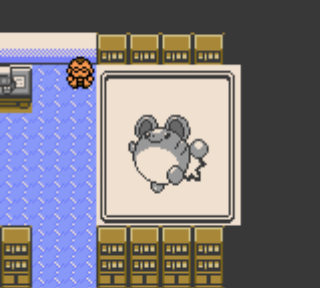 I'm also glad you found those old Pokegod sprites as well. Some might need some updating to match the style of the other sprites, but I lost a lot of those years ago so this is great. Thanks for posting all of this. Ah, those names do sound familiar. Also the levels being that high for the second region would explain it. I remember that CHHS game now. I also have a copy of Kyo's old RPG Maker game, TSMSGE (The Second Most Stupidest Game Ever I think?) haha. 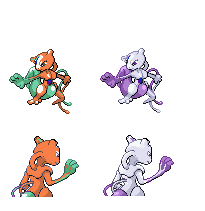 Also yeah the Pokegod sprites were remakes of some really badly jpg'd versions on some Angelfire site I think it was.